It is a natural and non-invasive approach to healthcare. The body has the capability to be self-regulating and self-healing – this is because of the body’s control center (the brain) and the nerves and organs, which it controls. The main focus of chiropractic is to promote proper functioning of the nervous system by gently and specifically correcting joint movement in the spine. However, Dr. Carissa is able to treat joints in the arms and legs as well. 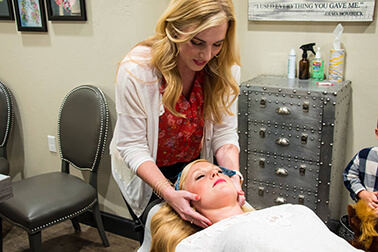 In order to accomplish all of this Dr. Carissa has learned a variety of techniques in order to meet the needs of every individual. Some of these include: Diversified, Thompson, and Activator.